Star Hill is the first housing project in Phu My Hung’s International Commercial and Finance Park where’s considered the center of this unique model urban center of Vietnam with modern infrastructure planning, space-oriented architecture to serve business activities, multi-purpose services, shopping, entertainment ... This district has just completed the function of the urban center, but also created the foundation for the quality of life and the working environment that meets the standards of domestic and international businessmen. Star Hill is built on an area of ​​2.1 hectares, including 14 high-rise buildings of 4-18 floors creating a diverse and lively architectural space, including a variety of houses such as condo, townhouse and shop. In addition to the facilities, there are many on-site services like swimming pool, gym, shopping, F&B ... Star Hill also has car parking in the ratio of 1: 1 international standards. 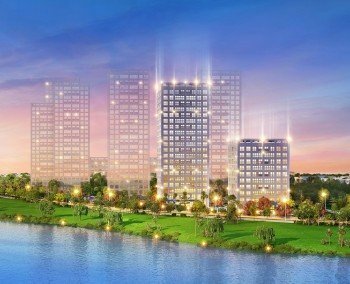 The great combination of home functionality with commercial activities in the heart of Phu My Hugn City Center gives Star Hill owners a desirable living space.